In this tutorial we review the process of editing your user profile in Joomla. Once you have registered, you may need to change some of the details in your profile. With Joomla, this process is easy and it will be completed with a few clicks of the mouse-button. To edit the details of your Joomla user profile, you need to log into your account. For more details on how to do that, you can review our excellent tutorial on How to login to a Joomla website. If you do not have a profile yet, you can register one, by following the steps in our tutorial How to register a new user account in Joomla. When you log in, scroll down to the User Menu section and click on Your Profile. 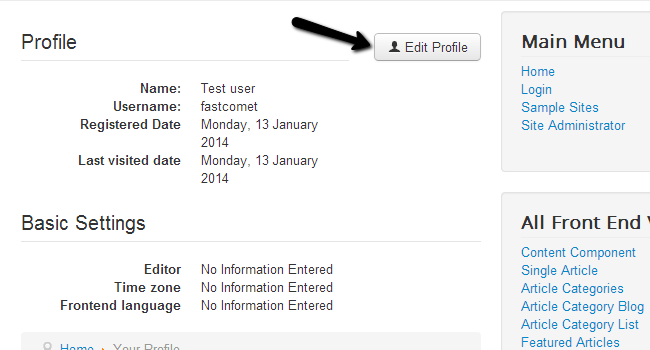 Click on the Edit Profile button, which allows you to change the details on your profile, including your password. 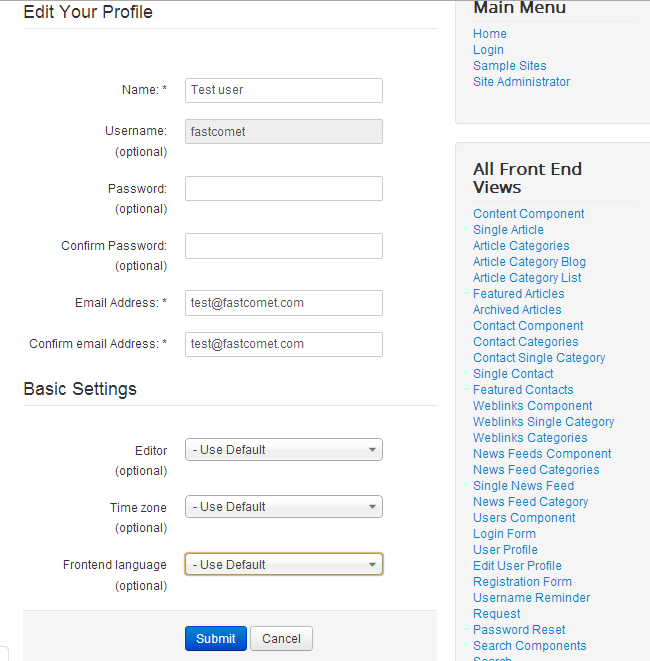 Edit Your Profile - This section lets you change your name, password or email address. Basic Settings - This section allows you to change your text editor, timezone and front-end language. Click on the Submit button when you are ready with the changes. The system will update automatically your profile information and details.